Virtually all of the popular hands-free motorized scooters on the market today actually have wheels and don’t actually hover. It’s almost false advertising, when you think about it. There are even some that use fans to create giant flying boxes, but are much more like drones than “hoverboards”. This board, however, actually does. 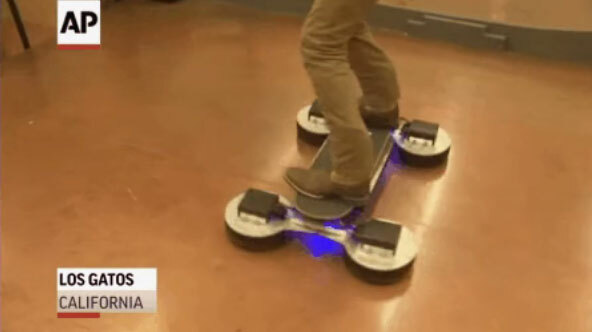 From manufacturer Hendo, this hoverboard uses magnetic levitation, much the same way that some trains do nowadays. What’s better about this system, however, is that it can be used freely in a designated area instead of only on a track. We are yet another step closer to Back To The Future 2 technology!